Wainanali'i (Blue) Lagoon, in the middle of the South Kohala Coast, a hangout for sea turtles. The lagoon was built as a fishpond in 1810 at the behest of King Kamehameha the Great, although lava flows and wave action have done some damage over the years. 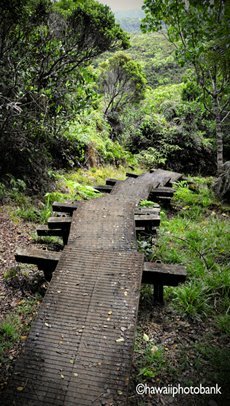 Enticed by the view of a turquoise streak from a highway scenic viewpoint, many visitors embark on a dry, wandering trail that drops through a kiawe forest. A better option is to drive down on a state park road that is about .25 mile from the viewpoint. The distance to Blue Lagoon is similar, but the trail is along the coast, easier to follow, and has no drop in elevation. Kihilo Black Sand Beach, along the Huehue Trail, has excellent snorkeling--better than the lagoon itself, which tends to be milky because of silt, and suprisingly cold, due to fresh water intrusion below its surface. You'll see a couple mega-mansions along the way, including the hardwood beauty imported from Indonesia by cosmetics tycoon Paul Mitchell. More modest cottages (and some in artful ruin) line a sweet cove just before Blue Lagoon. Turtles haul out along a lava-banked shoreline, turning crusty white in the sun. Their shells sparkle amber when they ease back into the aquamarine. 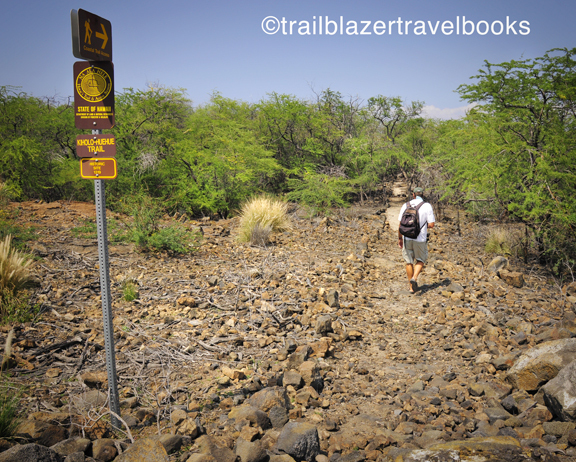 Hawaii the Big Island Trailblazer has more details. Time to put Frosty the Snowman in a Mai Tai and make sand angels? Hawaii awaits, and airlines are offering super cheap deals. 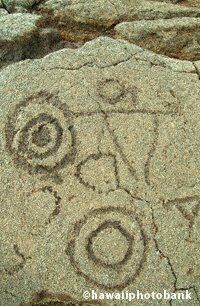 Contact trailblazertravelbooks@gmail.com to order Trailblazer adventure guides at discount prices (for two or more books). Since the Pu'u O'o began spewing melted rock more than two decades ago from the east rift of the Kilauea Volcano, hundreds of new acres of land have been formed at the edge of the Pacific. It's still too early to buy timeshares. But thousands of visitors each week make the drive down from Hawaii Volcanoes National Park to see the towering plume of noxious gas that forms when the molten lava meets seawater. Visitors can also come out at night to see the flowing red rivers of rock. Viewing sites vary with the whims of the lava. On several occasions, some of this new land is highly speculative, including a recent event when some 40 acres of lava bluff cracked off and fell into the ocean. 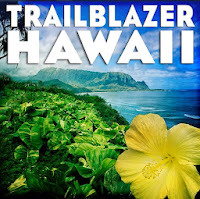 Hawaii the Big Island Trailblazer has the details and contact information. Anyone looking for an old-timey, little-grass-shack getaway to Hawaii need look no further than Anahola on Kauai's east shore. Leave the strappy sandals at home. 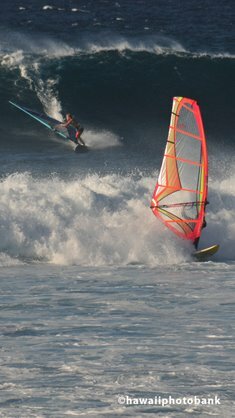 Bring the cross-trainers for some excellent coasta hiking, swim fins for above-average snorkeling, and surfboard to try several good near-shore breaks. And throw in the mountain bike to connect with red-dirt trails that continue miles to Kapa'a. While your at it, scrounge up a kayak and head up jungled Anahola stream. 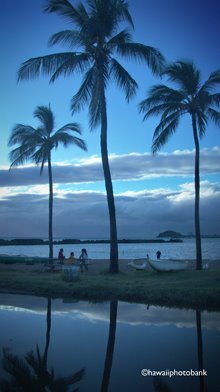 But save some time to kick back in palm-frond shade and gaze at the Anahola Mountains that surround the three-mile bay. 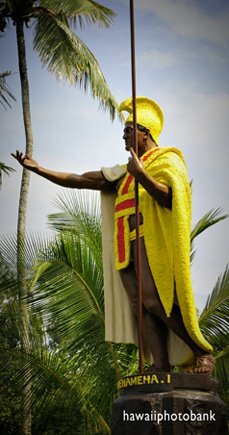 Also bring some respect for the Hawaiian culture, as Anahola is one of the first communities to be designated as Hawaiian Homelands, thanks to Johah Kuhio, Hawaii's first congressional representatives. For more on this superlative spot—and a number of wild beaches that are nearby—check out Kauai Trailblazer, pages 64 to 71. You can get a good workout and manage to be a hedonist at the same time by taking one of the many glitzy resort walks in Hawaii. Pictured here is the Wailea Resorts walk, a paved path along the breakers which connects to three beach parks on Maui's sunny coast. On the north of Maui, Ka'anapali offers a similar chance to hike along resort pools and very good snorkeling beaches. 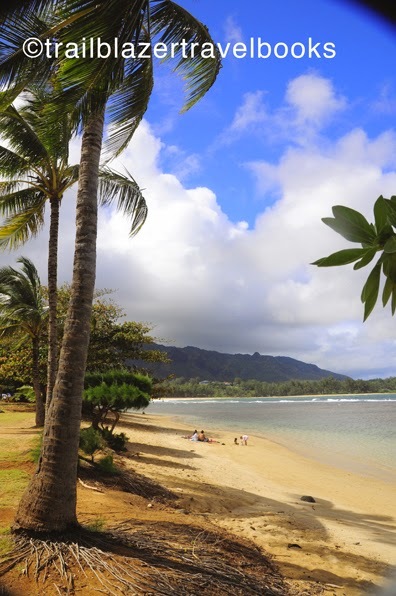 Poipu Beach is the place to combine fine dining with a coast walk on Kauai. 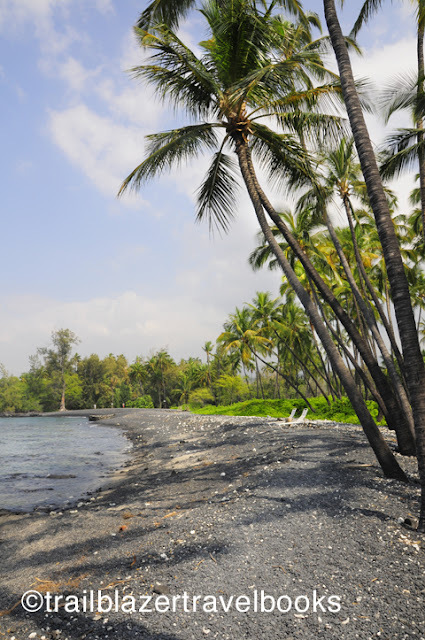 On the Big Island, the Mauna Lani-Fairmont Orchid wild coast combines gardenscapes, lagoons, and snorkeling pools. Same goes for the coast at the Hilton, not far away in South Kohala. 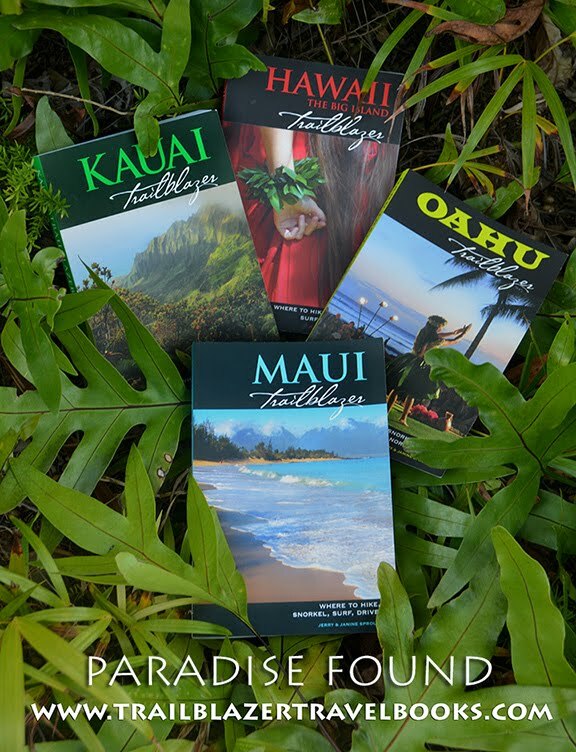 Directions for all the walks are in the Trailblazer Travel Book guides for Hawaii.